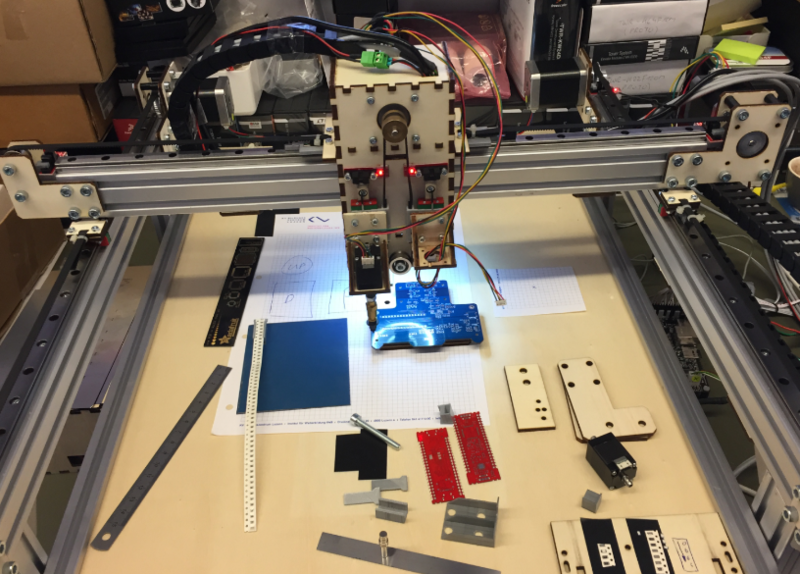 The easiest one is have a strip of parts taped on the machine with a double-sided tape. The machine uses the vision system to locate the parts and follows the holes along the tape. 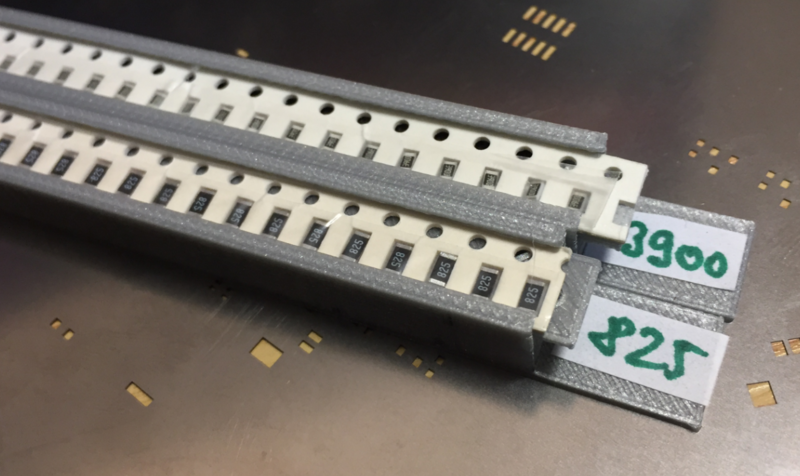 Below is the 3D module of the initial design. 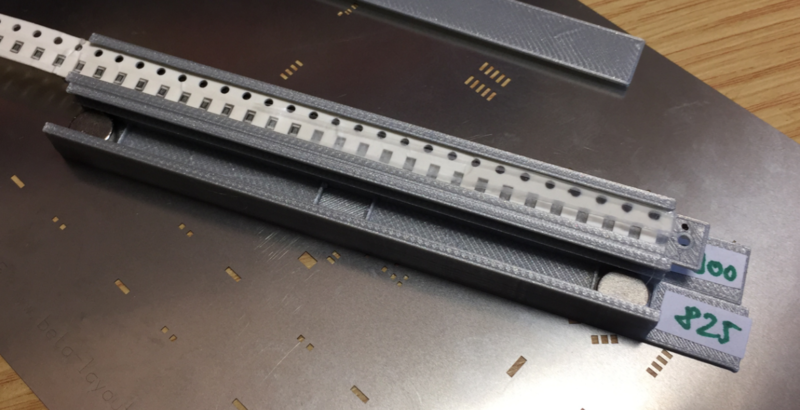 On the top the holder for 8 mm stripes, followed by a 1 mm plate inserted below the tape.That plate keeps the tape in place and it can be printed in a different color to better support the vision system of the machine. On the bottom the tray cover with two magnet holders glued on top of the cover. The concept works very well so far. 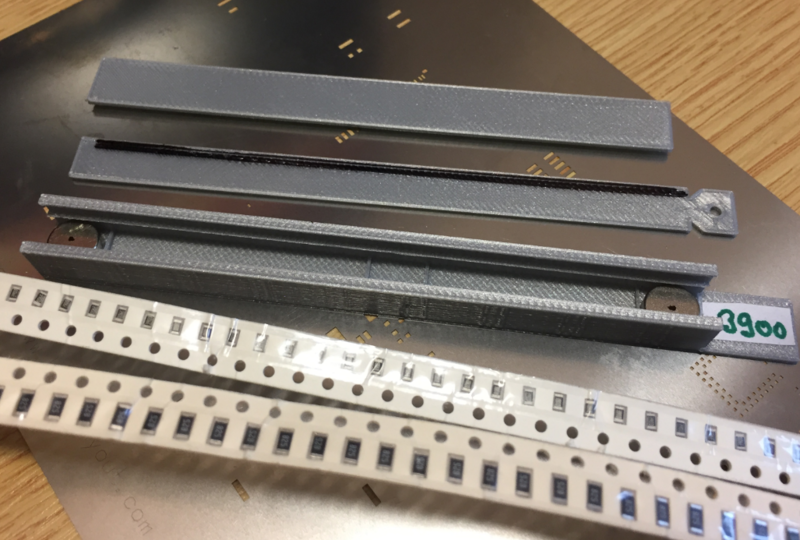 One thing to remember is that many SMD parts are ferromagnetic. But I have not seen any problems with this yet, but I need to keep this in mind. 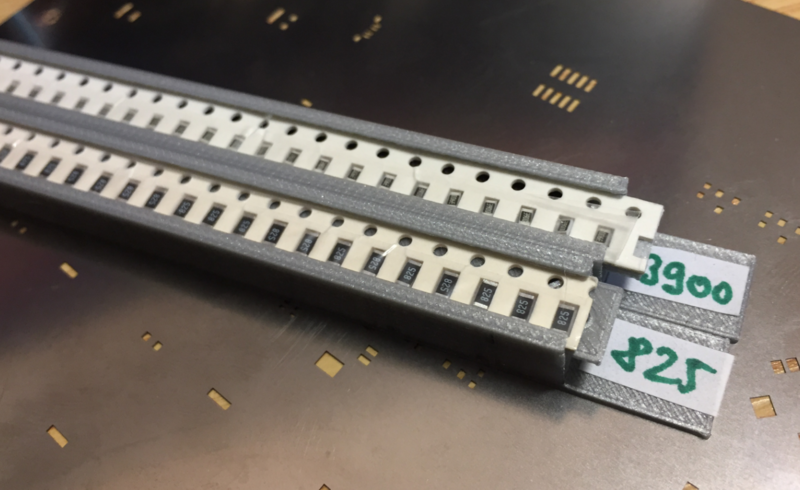 This entry was posted in 3D Printing, Building, Embedded, OpenPnP, Tips & Tricks and tagged 3D Printing, Feeder, Magnets, OpenPnP, Pick&Place, SMD, SMT, Strip Holder by Erich Styger. Bookmark the permalink.